VIBHA is providing a Big Arena for your Children to Express their Inner and Unique Talents. Help them to participate in as many contests as possible. 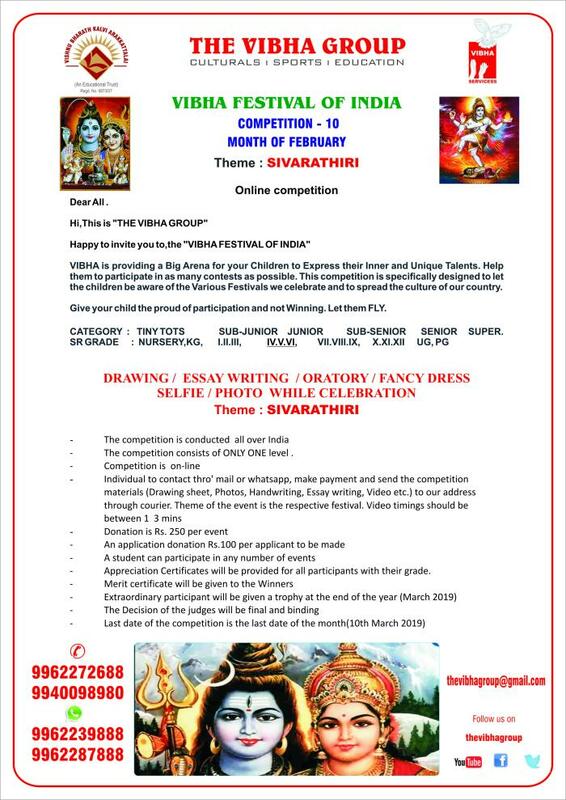 This competition is specifically designed to let the children be aware of the Various Festivals we celebrate and to spread the culture of our country. Give your child the proud of participation and not Winning. Let them FLY. – The competition consists of ONLY ONE level . – Appreciation Certificates will be provided for all participants with their grade.